Initially a game on the ill-fated 64DD add-on, Doshin the Giant puts you in control of the titular yellow fellow, and charges you with the care of an island of tribesmen and women. How you care for them is left entirely up to you. 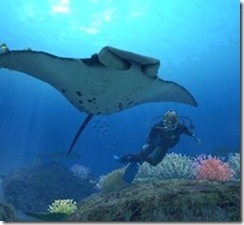 It might seem an unlikely premise for a game, but Endless Ocean fits perfectly with Nintendo’s “Touch Generations” label by being cerebral as well as entertaining and offering experiences many people dream about: floating among tropical fish in beautiful coral reefs, or bounding through the wide ocean with bottlenose dolphins. With those “end of year” things now far enough away for this not to be a bandwagon post, and today my 24th birthday, I thought it apt to look back on what I played whilst I was 23 and anticipate what I’m excited about in the next 365 days of my life. I was just as shocked as anyone when this was announced – after speculating what Sega’s DS surprise might be, to say I was taken aback by these two competing would be a gross understatement. I did change the work PC’s wallpaper to the announcement image, though! I think, out of the 16 characters on offer, I’ve only ever played as Sonic, no matter what the event is. Swimming? Sonic‘s my man! Table Tennis? We all know Sonic‘s got a killer chop! The great thing about Mario and Sonic at the Olympic Games is that it gets right what Wii Sports got wrong, and gets the right bits even better. With a proper range of tournaments, medals and events, it’s got the longevity that Wii Sports missed out on, but in pick-up-and-play terms it’s got instant appeal. The Dream Events are hit-and-miss, but when one of them is essentially Mario Kart on foot, you’re onto a winner. Its success has surprised even me – we get asked for it a dozen times a day, and for it to top the all-formats chart two weeks before Christmas is an amazing achievement for Sega who, I’d like to point out, were the developers and publishers; Nintendo just lent them bits. It’s Sega’s biggest success in many, many years, and a wonderful thing to celebrate. Best moment: Warming up on the long-jump track, Sonic waves to the crowd and shouts “it’s-a me!”, then as you push your Remote and Nunchuck together he leads the audience in cheering for him! Absolute genius. How could this not feature as a top moment of my 23-dom? I’ve seen enough speculation over the years to know to take such hope-mongering at face value, but this was the first time I felt compelled, as a world-renowned expert on NiGHTS (just joking! ), to answer some of the questions and put them in their place. And guess what? I was wonderfully, fantastically and joyfully wrong. That whole period of scanning news pages, searching every games-related page and my good friends over at www.scoreattack.net for any new information was quite fun, actually. When the first screenshots emerged, I pretty much made myself want to cry because that’s what I’d always thought my reaction would be (in retrospect that’s quite weird!). In reality, I was filled with disbelief – there’s nothing quite like getting what you want to take the wind out of your sails. In less than eight days I will have played NiGHTS 2 and no doubt bored everybody I know to tears about it (I think I’ll buy Hannah some headphones!) I can only hope it will prove to be the watershed moment in my life I’ve waited for since I was just thirteen years old. Not that I’m working myself up or anything. Best moment: That fantastic realisation that it wasn’t all a cruel hoax played on me by the entire Internet, but a sequel to the best game ever on my favourite current console. I ran to Gamestation as fast as Sonic himself when this came in, and played it for eight straight hours on my next day off. It replaces the frustration and hesitation of previous 3D Sonics with exhilaration and precision. Some people complained that you simply steered left and right, which ignores the fact that in the best Sonics you only ever run forward, never backwards. The skill and experience element keeps you playing to get closer to those elusive gold medals, and some of the unlockable artwork and videos are stunning. The less said about the party mode the better – hopefully we’ll see fewer tacked-on multiplayer ideas in future Wii games – but the main quest is so good as to completely restore my faith in Sega and their main man. Best moment: Using Speed Break to burst through the torrential rain of Pirate Storm, only to run out of jetty and rush over the roaring waves on a surfboard, performing tricks as you’re tossed into the air. Runner-up: Racing along slender beams of light on Levitated Ruin, Speed Breaking around corkscrews, dodging missiles and going faster than any game ever. The controversy! Yes, even a hardened Sonic fan like me can admit that Mario‘s game is better than Sonic‘s. In terms of design, flair and execution, there’s nothing close to it on Wii, and probably on most other formats too. Although some people feel it doesn’t take advantage of the Wii’s motion-sensitivity as well as it might, its controls are precise and do what many Wii games fail to do – become an interface for the game, not an obstacle to it. Even the two-player mode is quite enjoyable when used to kill Chain Chomps, shoot Goombas or, most enjoyably, make Mario spin in the middle of an important jump and send him plummeting into a black hole. It may not be particularly co-operative, but it is fun! The game excels graphically, particularly with its texture work, which stands as probably the best ever in a Nintendo game. King Kaliente’s oil; the fur on the Queen Bee and Major Burrows; the subtle sheen on the apples in Gusty Garden. From start to finish the game is decorated with precision and a well-chosen palette, and proves HDTV isn’t the be-all and end-all some might suggest. Aurally the game is every bit as good, with some of the strongest Mario musical moments for many years. The observatory theme grows as new galaxies are unlocked, adding new instruments and melodies to the arrangement. Your first visit to Good Egg couldn’t say “you’re going to enjoy this!” any more clearly with a voice over, and the theme from Gusty Garden alone stands out as probably the best piece of game music I’ve heard all year. It’s a shame about the frankly pathetic sub-MIDI instruments that play the fanfare upon completing the game, but I guess even the Super Mario Galaxy Orchestra need a day off. Best moment: The first time you run and long jump off a walkway, you hover in mid-air, the camera flips and you keep flying to land on the underside of the same planet. One of many “wow” moments. 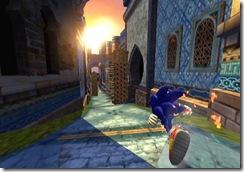 Runner-up: The beams of gravity from the game’s last level, which finally answer the question “why can’t we see forces?” – if we could, everyone would try to make impossible leaps and die all the time. My WORD, that’s a turn-up for the books! A relatively unknown game about diving beating three triumphant appearances by the best characters in gaming for the coveted “Best Bit in a Game I Saw Whilst 23” Award? Read on, friends. Endless Ocean is an atmospheric game, although not to the exclusion of “proper” game elements. There’s plenty of different areas, from the warm shallow water of Knives Reef to the mysterious Ancient Temple, and the chilling Graveyard at the bottom of Deep Abyss. The ocean is suitably huge, and after my ten hours there’s still plenty of grey areas I’ve yet to explore. Although the overarching aim is to find out as much about fish as possible, you also have to lead clients on guided tours, pointing out interesting fish and sea features to them, and there are photographic missions that challenge you to capture a certain creature and pitch it to an editor for use in a magazine article. Remember how much I love the photography in Beyond Good and Evil? Well, the actual aiming and help system here isn’t as developed (ho ho), but it’s every bit as enjoyable when you take a rewarding picture, such as my beautiful Goblin Shark portrait the idiot editor turned down. Best moment: Swimming down towards the foreboding Deep Abyss, the music cuts out, leaving just the sound of oxygen bubbling away from you. In the dark, you think you see something moving… something large… Suddenly, a triumphant choir rises in your ears, as though announcing the arrival of an angel, and before your eyes an enormous whale emerges from the abyss and swims inches away from your face. It’s been many years since a game has literally taken my breath away and made me feel such a strong emotion, but I could genuinely have wept at this moment. The force of the music and the graphics combined to create a realisation that I was in the presence of something intensely beautiful, a gentle and inspiring creature to be admired and respected. There you go – those were my five best moments in gaming whilst I was 23. Pleasingly, I really could only have expected two of them, and number one was as big a surprise as you get. All I’ll say is that my number one moment in a year’s time isn’t finally playing a sequel to NiGHTS, I probably won’t bother playing games any more! January 18th, 2008. 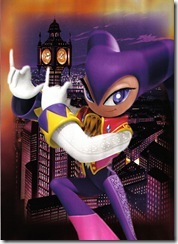 That’s the day when nearly twelve long years of waiting come to an end, and NiGHTS: Journey of Dreams is released on Nintendo Wii. I’m sure it goes without saying I’m incredibly excited about getting my hands on it, despite some of the things I’ve heard from people who’ve played it illegally (you know who you are!). To say that a year ago, the mere prospect of a new NiGHTS game was impossible, it’s incredible to think we stand less than two weeks away from a genuine, bona fide NiGHTS 2. I will, of course, be posting my impressions as soon as I get my hands on the game, probably in pictorial form: expect either the anguished, contorted features of a man crushed after a dozen years of optimism or, for the first time ever, the purest essence of joy distilled in photographic form. In the meantime, look out for my “Top Gaming Moments of 2007” post which I just decided to write now! I’m listening to Tijuana Lady by Gomez, from The Album.